Weddings can be expensive and if you’re like me I am always looking for ways to save! Therefore, I have come up with a few wedding favor and gift ideas that are affordable, not to mention adorable. Perfect, for bridesmaids, groomsmen, and of course your guests. 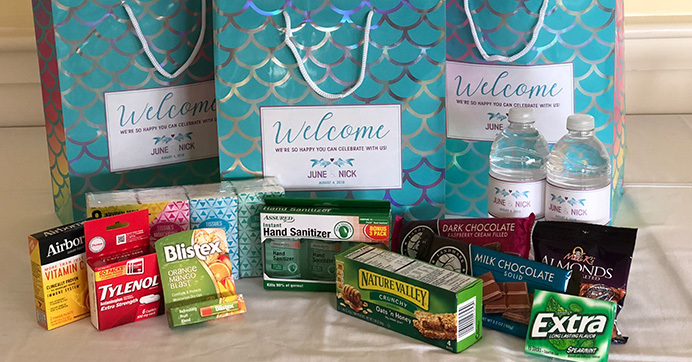 Show out-of-town guests your gratitude by creating these one-of-a-kind welcome baskets using any of Dollar Tree’s beautiful bags or baskets. 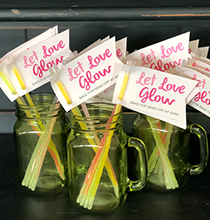 Fill them with your favorite snacks, drinks, and treats to help your guests stay energized all night long! 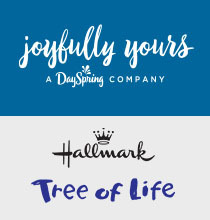 Browse Dollar Tree’s amazing array of candles to find your favorite scent and create personalized labels to place on candleholders for elegant keepsakes your friends and family are sure to love. 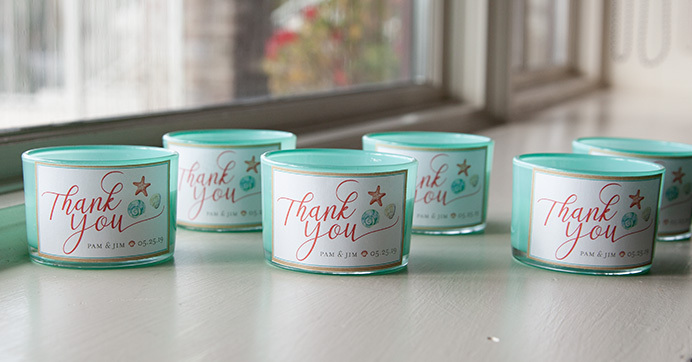 Choose scents and shapes that match your theme and personality for a wedding favor that is uniquely yours. 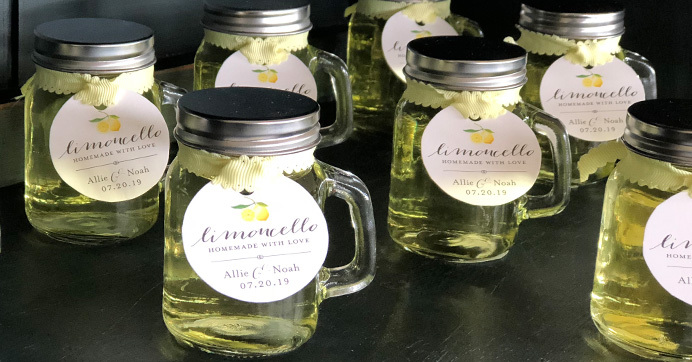 How adorable are these mini limoncello filled favors? Totally cute, am I right? 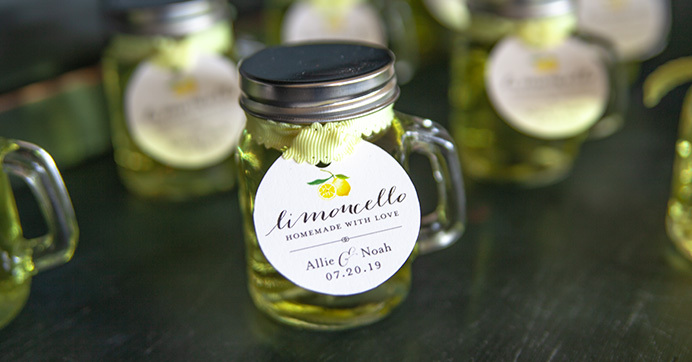 Fill each mini jar with limoncello and tie a custom-made tag around the lid of the jar with your wedding date. 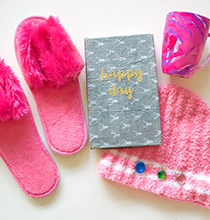 Not only are these favor cute, but they are inexpensive to make as well! These creative ideas are an affordable way to give thanks to those that came and helped provide priceless memories on your big day! Looking for more ways to save on your wedding day? Check out these 3 reception planning tips!